Indonesia downgraded their diplomatic ties with Australia this week, marking the lowest point in Australian-Indonesian relations in over a decade. The downgrade of diplomatic ties between the two Pacific countries will result in the halt of intelligence cooperation, a suspension of military operations and exercises between Indonesian and Australian soldiers, and less economic trading. The last time relations were this strained was in 1999, when Indonesia annulled a 1995 security pact because of Australian peacekeeping in East Timor. It was not until the 2002 bombing in Bali, which killed 202 people and 88 Australians, that brought the two countries closer together. This also marks the first significant political effect of the Edward Snowden leaks. While European countries sharply criticized the United States in public, no European country sharply questioned their alliance with the United States. A meeting was called in Washington D.C., and there are more promises of talks about the issue in a European Union summit, but that is it. European politicians have expressed outrage in order to mirror their constituent’s outrage, but not to actually change the nature of their alliance with the United States. 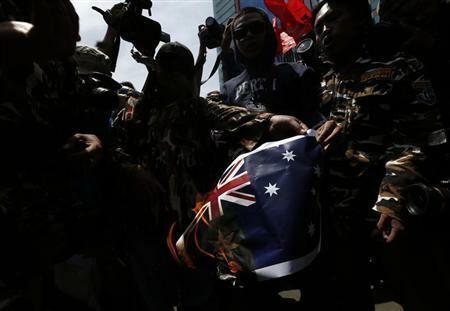 The situation between Australia and Indonesia is different for various reasons. First, Indonesia lacks the capacity to also spy on Australia. While France, Britain, and Germany all have the ability to spy on the United States (and each other), Indonesia does not have the infrastructure. Thus, their outrage comes from a vulnerable position. Second, and more importantly in this case, was Australian Prime Minister Tony Abbott’s response. The United States admitted to the truth of the reports, the possibility of overreach in the program, sent Secretary of State John Kerry to their embassies, and apologized – publicly and privately – to the French and Germans. Australia, on the other hand, merely said they will not comment on intelligence gathering. This cold response provoked animosity from Indonesia’s political elite, especially President Susilo Bambang, because they perceived their ties with Australia to be warmer and more personal. When and how do you think Australia and Indonesia might reconcile? How will these strained relations effect other issues in the region, like shipping and immigration?